Intel Extreme Masters is returning to Sydney on May 3-5, 2019. The professional gaming competition at Qudos Bank Arena will see sixteen Counter-Strike: Global Offensive (CS:GO) teams play live for a share of the US$250,000 prize pool. IEM Sydney 2019 will be one of a dozen major arena pro gaming competitions planned globally by ESL in 2019 and the second CS:GO Intel Grand Slam event next year. The event’s winners will get another notch towards completing the Intel Grand Slam, a $US 1,000,000 prize for the first team to win four of the previous ESL and DreamHack IGS-level events. 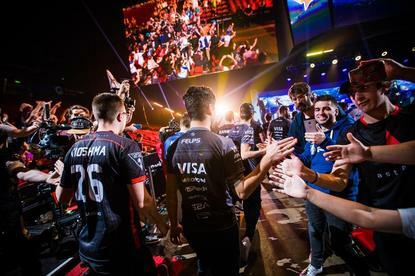 IEM Sydney title holders FaZe Clan currently hold two eligible championships, with last year’s runners up Astralis holding three after their win at IEM Chicago 2018. “What we have managed to build in just two years with ESL Australia and the ANZ gaming community is absolutely incredible,” said Michal Blicharz, VP of Pro Gaming at ESL. In 2018, over 7,500 esports fans attended IEM Sydney on each event day, and with 13.5 million unique viewers online, it recorded the highest ever viewership for an esports competition held in Australia, according to Intel. Attendees of IEM Sydney 2019 will have the chance to meet their esports idols face-to-face at signing sessions, and participate in giveaways from partners and sponsors at the IEM Expo. Tickets for IEM Sydney 2019 will go on sale Friday, November 16, 2018 at 2pm at www.ticketek.com.au. The general public will have the opportunity to choose between Day (starting at $39 AUD), Weekend ($139 AUD), Weekend Premium ($239 AUD) and Global Elite tickets ($1,199 AUD).